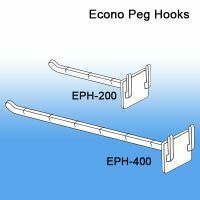 Hooks are adjustable every 1.25"
Minimum quantity for "The Econo BUTTERFLY Peg Hooks, for Double Sided Peg Hook Display Strips" is 100. 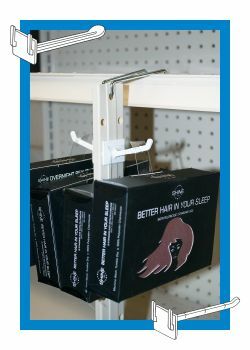 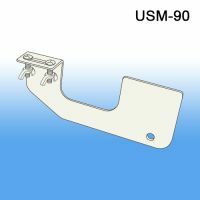 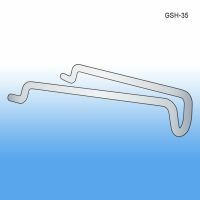 Minimum quantity for "Gondola Shelf Top Merchandising Hook, GSH-35" is 20. 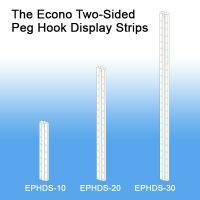 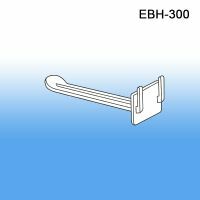 Peg Hook Strip at 10" , 20" and 30", Hooks are adjustable every 1.25"
Minimum quantity for "The Econo Double Sided Peg Hook Display Strips" is 25.